Many people don’t realize that Mexican restaurants are the second-most popular menu choice in the U.S., second only to burger joints. 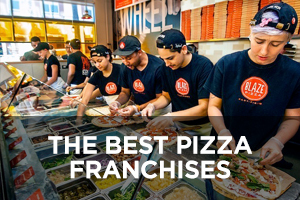 Entrepreneurs who want a bite of this $41 billion market have a diverse range of proven concepts to buy into with this list of the 15 best Mexican restaurant franchises of 2019, six of which have achieved rankings on Entrepreneur magazine’s Franchise 500 list. Concept choices in this market range from authentic Mexican recipes to Tex-Mex to Mexican-inspired to fusion with American food. You can join a chain on this list for a relatively small investment of $208,000-$287,500 with Quesada Burritos & Tacos, or you can go as high as $2 million-plus with chains like Taco Bell, Del Taco, or Qdoba Mexican Eats. An April 2017 report from CHD Expert showed nearly 60,000 Mexican restaurants operating in the United States, and Americans ate more than 4.5 billion tacos in 2016, according to the National Taco Day website – and that’s not counting burritos, enchiladas, and all the other dishes available at Mexican eateries. How did Mexican food become so popular? It’s affordable, it’s quick, and people like the taste and variety they get. This assembled list is based on variety, innovation, performance, and popularity among diners, resulting in a diverse range of options. From Taco Tuesday at Taco John’s to the Fajita Burrito Bowls at Fuzzy’s Taco Shop, diners are making a steady diet of Mexican food. Taco Bell is by far the largest of the Mexican restaurant chains and the market leader of Mexican fast food in the U.S. The chain is poised for growth, anticipating 8,000 locations by 2023. While fast-food chains move to value menus with variable prices, Taco Bell still has a real dollar menu. After McDonald’s announced last December that it would return to a dollar menu with its new $1 $2 $3 Dollar Menu, Taco Bell reminded the public that its dollar menu has more than 20 items and said it plans to add another 20 through 2018, with each item offered for exactly $1. 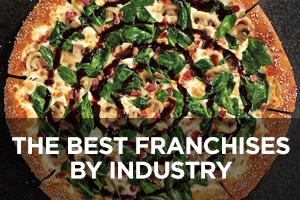 This company currently ranks #8 on Entrepreneur magazine’s Franchise 500 list. 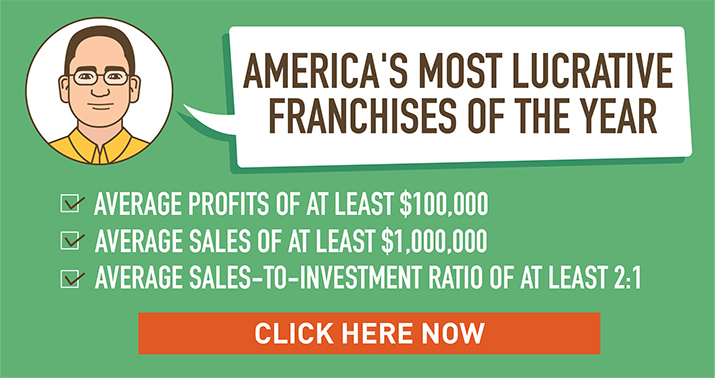 Founded in 1962 and franchising since 1964, the number of locations has continued growing at a steady clip over the past 10 years from 5,820 in 2008 to the current total of 6,905, of which 606 are company-owned and 413 are located outside the U.S.
Qdoba Mexican Eats may have only 10% of the locations that Taco Bell has, but Qdoba is very spread out through 47 states, which means it has plenty of room to grow. The chain was acquired by Jack in the Box in 2003 but was recently sold to private equity firm Apollo Global Management LLC for $305 million. It started out by bringing San Francisco-style burritos to Denver as Zuma Fresh Mexican Grill. Qdoba offers chef-inspired creations like the Drunken Yardbird Taco, featuring tequila lime chicken topped with fresh Cotija cheese. Steak, chicken, and vegetables are fire-grilled in front of customers, and pulled pork is roasted daily. 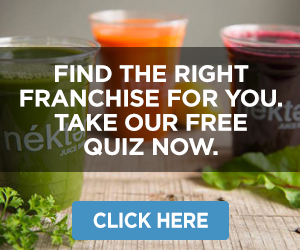 This company currently ranks #297 on Entrepreneur magazine’s Franchise 500 list. Founded in 1995 and franchising since 1997, the number of locations has expanded steadily over the past 10 years from 469 in 2008 to the current total of 741, of which 385 are company-owned and eight are located outside the U.S. It’s interesting to note that the company’s more recent growth in locations has been achieved by adding more company-owned units. Moe’s Southwest Grill was named Fast Casual Mexican Restaurant Brand of the Year in the Harris Poll Equitrend Rankings in both 2016 and 2017 but was unseated by Taco Bell in 2018. The chain, whose Mexican fare comes from the U.S. Southwest, is attracting millennials with its fresh menu items, music, and engaging atmosphere. Moe’s stands for “Musicians Outlaws and Entertainers,” and the restaurants play hand-selected music from legendary artists. The casual atmosphere is embodied in the greeting customers get when they arrive: “Welcome to Moe’s!” Many menu names come from pop culture, like the First Rule of Chicken Club quesadilla. 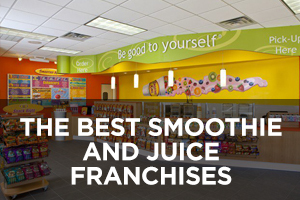 This company currently ranks #219 on Entrepreneur magazine’s Franchise 500 list. 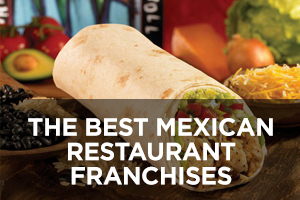 Founded in 2000 and franchising since 2001, the number of locations has risen steadily over the past 10 years from 395 in 2008 to the current total of 721, only five of which are company-owned and two of which are located outside the U.S.
Del Taco offers a fusion between Mexican and American burgers-and-fries cuisine, which means customers can get fries with Mexican food. Sometimes the two are paired, such as in the new Queso Chicken Burrito, which has crinkle-cut fries tucked inside. But what’s really turning heads is Del Taco’s Queso Blanco, which replaced the chain’s nacho cheese sauce last year. The all-natural creamy white sauce gets its bite from jalapenos and is the highlight of so many items that Del Taco now has a Queso Menu. 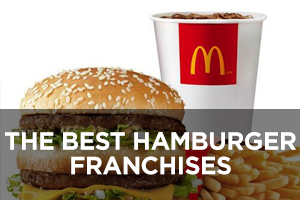 This company currently ranks #188 on Entrepreneur magazine’s Franchise 500 list. 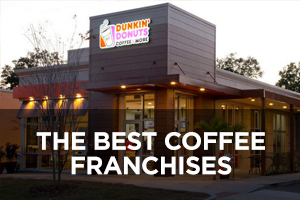 Founded in 1964 and franchising since 1967, the number of locations has held relatively steady over the past 10 years and currently stands at 566, of which 314 are company-owned and all of which are located in the U.S. Founded in 1969 and franchising since then, the number of locations has declined slightly in recent years from 418 in 2008 to the current total of 393, ten of which are company-owned and all of which are located in the U.S.
TacoTime has a long history dating back to the 1960s when the first restaurant opened in Eugene, Oregon, inspired by Mexican cuisine in Southern California. One of the notable menu items at TacoTime, the Mexi-Fries are basically seasoned tater tots, available plain or stuffed with creamy cheddar and diced jalapenos. The chain’s famed Crisp Burritos are hand-rolled and then fried for a different take on the standard burrito. 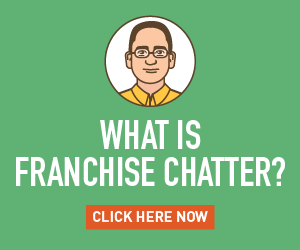 Founded in 1958 and franchising since 1961, the number of locations has declined slightly in recent years from 295 in 2008 to the current total of 261, none of which are company-owned and 131 of which are located outside the U.S.
Taco Bueno is a Texas-based chain serving up basic Tex-Mex dishes, including breakfast items, with a number of two-entree combinations and seven different fajita platters. People say everything is bigger in Texas, so perhaps the Muchacho Taco shouldn’t be an eyebrow-raiser, even though the taco is so big that its 520 calories is more than twice the 200 calories of a regular taco. Dallas Cowboys defensive end Taco Charlton partnered with Taco Bueno in June 2017 for what seems like a natural fit. Some locations in larger cities have signed up with DoorDash, UberEats, GrubHub, and other fast-food delivery service providers, which could mean increased demand by hungry homebodies. Founded in 1967 but franchising only since 2004, the number of locations has held relatively steady in recent years and currently stands at 182, 160 of which are company-owned and all of which are located in the U.S.
Fuzzy’s Taco Shop got its start in Fort Worth, and the overwhelming majority of its locations are in the Dallas-Fort Worth market. The chain attracted attention in June 2017 for its Jalapeno Bottle Caps (sliced, battered, and fried jalapenos) and Jalapeno Cilantro Queso, as well as the announcement that Burrito Bowls were back on the menu for good. Fuzzy’s has many taco and burrito varieties, seven types of nachos, nine salads, and lots of sides and breakfast items. 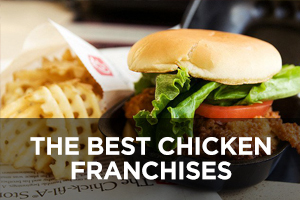 This company currently ranks #123 on Entrepreneur magazine’s Franchise 500 list. Founded in 2003 and franchising since 2009, the number of locations has grown rapidly to the current total of 146, ten of which are company-owned and all of which are located in the U.S.
Quesada Burritos & Tacos, which first opened in Toronto, Ontario, in 2004, is the fastest-growing Mexican franchise in Canada. The flavors are complex and created by trying new taste combinations in test kitchens. Quesada’s tagline is “The 100% Canadian Mexican Burrito.” Start-up costs are fairly low, and the chain claims to keeps costs down by providing supplies at cost and allowing franchisees to choose contractors for construction. Quesada has been named Franchisees’ Choice by the Canadian Franchise Association for three years running, based on surveys of franchisees. Founded in 2003 and franchising since 2010, the number of locations now stands at 105, only three of which are company-owned and all of which are located outside the U.S.
Mucho Burrito Fresh Mexican Grill is Canada’s largest premium fast-casual Mexican restaurant chain, and is well-deserving of its name. The chain offers three sizes of burritos, and the largest, the Mucho, exceeds 1.5 pounds by weight. Mucho Burrito does not use preservatives or artificial flavors. Food is made by hand in front of customers, who have quite a few meat options, including beef barbacoa, steak, chorizo, shrimp, chicken, and pork carnitas. Vegetarians and veggie-loving omnivores are not forgotten, either. There is a veggie crumble protein choice for those that want to go meatless. 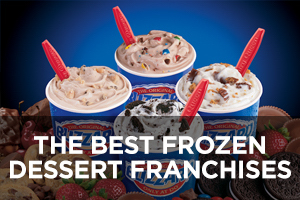 Founded in 2006 and franchising since then, the number of locations has expanded to the current total of 104, only one of which is company-owned and 101 of which are located outside the U.S. (there are only two locations in the U.S. so far). Costa Vida was started by J.D. and Sarah Gardner, who were inspired on a trip to Cabo San Lucas, Mexico, to bring the cuisine and bold vibe back home to Layton, Utah. The chain’s specialties are enchiladas and nachos, Mango Chicken Salad, Sweet Shrimp Salad, Sweet Shrimp Tacos, and Mahi Mahi Tacos. 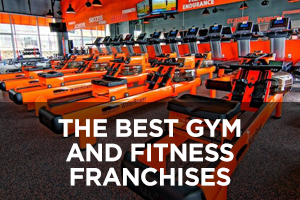 Founded in 2003 and franchising since 2004, the number of locations is now approaching 100, although they haven’t reported how many are company-owned. The location page of the company website shows 4 locations outside the U.S., in and around the city of Calgary in Alberta, Canada. Taco Casa was started by Shelda and Roy Upshaw using their experiences as Taco Bell franchisees to start their own business in the early 1970s. Taco Casa opened with a simple vision and 16 menu items, and not much has changed in the past 46 years. The chain plans to keep expanding mostly in Texas and Oklahoma while maintaining its commitment to using local vendors. The menu is basic Tex-Mex, with some simple tweaks like the Chili Burger with its scoop of ground beef, red sauce, and shredded lettuce on a bun. Founded in 1972 and franchising since then, the number of locations has expanded in recent years from 58 in 2012 to the current total of 86 as listed on the company website’s location page. Salsarita’s Fresh Mexican Grill is a little more upscale than some of the other quick-service Mexican brands, with creative combinations that use premium fresh ingredients. One of the more popular menu items is the Quesorito, a burrito smothered with Salsarita’s creamy queso. The restaurants have a clean, simple look with bright colors and bold design elements. Many are in shopping centers and on college campuses, and a few are even located within private businesses. 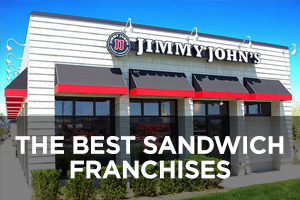 Founded in 1999 and franchising since 2000, the number of locations has declined ever so slightly from a recent high of 82 in 2011 to the current total of 77 as listed on the company website’s location page. 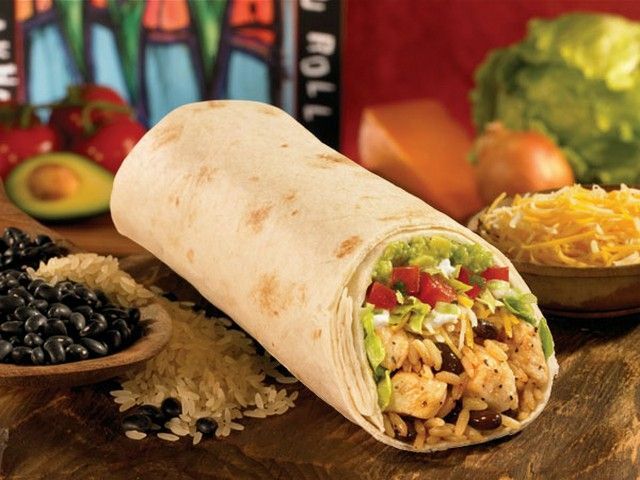 Pancheros Mexican Grill is an Iowa-based chain with two distinctive pieces of equipment. One is its tortilla press used to make fresh-pressed tortillas on the spot. The other is known as Bob the Tool, a plastic spatula with googly eyes used to mix burrito fillings so all ingredients are in every bite. The spatulas can be kept by customers, who upload their creative photos of themselves with Bob to the company’s social media accounts. The Tex-Mex chain has a different take on chips and sauce, serving blue corn chips with three sauce choices that include queso, mild ancho salsa, and fresh-made guacamole. Back in 2016, the chain introduced a unique vegan dish called Tofusada, spicy tofu marinated in a Southwest-inspired sauce and sautéed until crispy and glazed. Founded in 1992 and franchising since 1995, the number of locations has declined ever so slightly from a recent high of 54 in 2010 to the current total of 70+ in 14 states as claimed on the company website. Chronic Tacos offers up authentic Mexican recipes as its main selling point. Founder and president Randy Wyner grew up with Jason Bonilla, who supplied recipes passed down from his great-grandmother in Mexico. Chronic Tacos has inserted a bit of Southern California influence into some of the recipes, but the core ingredients and flavors have remained the same. The SoCal influence is also seen in the restaurant design and the laid-back atmosphere. The restaurants serve many Mexican dishes familiar to Americans, but customers will also find authentic al pastor, a taco- or gyro-style dish developed in Central Mexico, inspired by Lebanese immigrants. 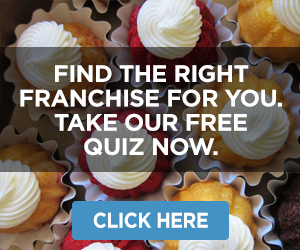 This company currently ranks #354 on Entrepreneur magazine’s Franchise 500 list. 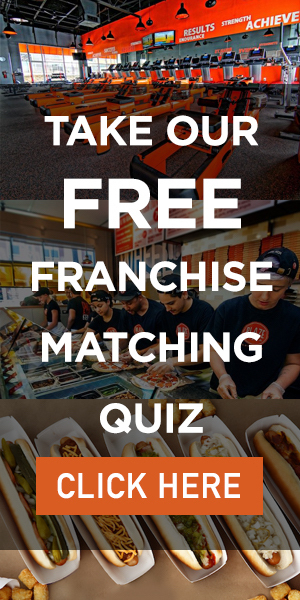 Founded in 2002 and franchising since 2006, the number of locations has grown from 22 in 2009 to the current total of 51, six of which are company-owned and two of which are located outside the U.S.
Fuzzy’s Taco shop? Really?? Bigger and more profitable than Chipotle? We did not include Chipotle because they currently do not franchise. Thanks for your comment.